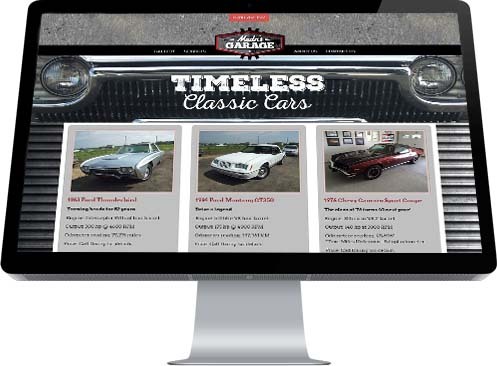 Madn's Garage is a Leduc County-based business that specializes in buying, selling and trading vintage and classic automobiles across Western Canada. Industrial NetMedia was excited at the prospect of creating a masculine-looking website with images of muscle-cars that would be a motorhead's dream. We began with a bold banner graphic of a classic car grill with the freshly-designed Madn logo perched proudly atop. Central to the Home page was, of course, some of the perfectly restored vehicles in Madn's system plucked from the gallery developed for the site.